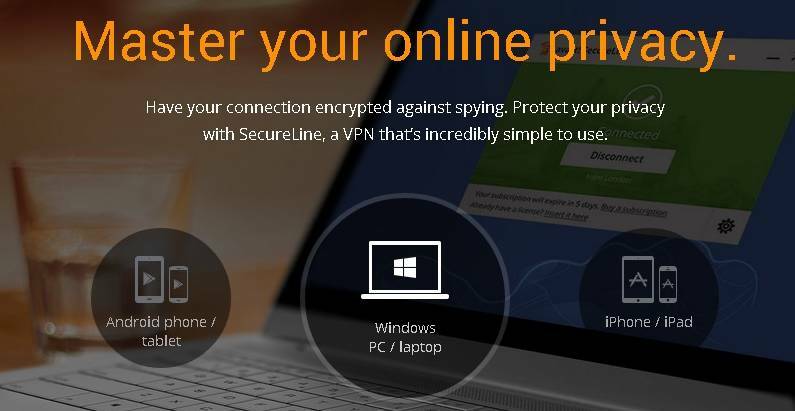 If you are looking for a VPN from a reputable company you may already be familiar with, Avast SecureLine is a great option. You may already know Avast (sometimes spelled “avast!”) for their anti-virus software, which you can use to protect your computer from viruses, malware, and hackers. 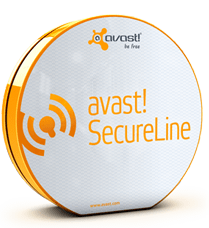 Avast SecureLine thus offers you an advantage over many other VPN companies. Most are small startups, and there is not a lot of information available on their trustworthiness or reliability. Avast has already proved itself to be trustworthy and reliable, so you can proceed on the assumption that their VPN software will perform up to their usual standards. Plus, they have plenty of experience in the field of internet security, and bring that experience into play to protect your data online when you browse through their VPN. Note that Avast SecureLine used to only be available to users of Avast’s anti-virus software, as discussed in a PC Magazine review. This review appears to be quite out of date, however, as it mentions that Avast is not available for Android or iOS. Avast has been available on both for some time now, and is highly rated on both Google Play and Apple iTunes. It is now available as a standalone product; purchasing SecureLine is as simple as selecting a package on the Avast website. • Keep your online transactions anonymous. Protect your emails, conversations, and financial information from prying eyes. • Watch content which is blocked in your country, or access websites which are blocked on your network (like Gmail, Facebook, Twitter, etc.). • Speed up your connection (this may work on certain servers, depending on your own location). • Compress your data to save money on your mobile bills. You may very well find that Avast SecureLine pays for itself. Whereas you could only use Avast SecureLine on your Windows PC in the past, you can now use it on pretty much any device, since compatibility has been expanded to every operating system. You can run it on your Mac laptop or desktop computer, or on your iOS or Android mobile device. The Android app on Google Play is particularly popular, with more than 37,470 votes and an average rating of 4 out of 5 stars. There is a free 3-day trial version of Avast SecureLine for Windows which you can download to your computer or mobile device. This is shorter than we would like, but it does give you at least several days to preview the features and test the speed. 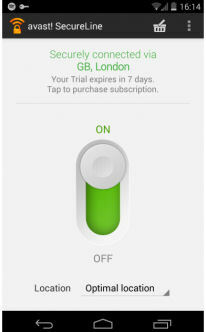 A longer trial is available if you are testing out the Android app. You get a full 7 days to try it out on your mobile device. If you decide you like Avast SecureLine, you can then purchase a license. There is a 30-day money back refund, so that gives you some additional time to make up your mind. If you purchase Avast SecureLine for Windows, you have the option of purchasing one or two years at a time. • 2 Years: $89.99. This is a hefty discount, as the regular price if you purchased just one year at a time would be $114.99 for the two years. • 1 Month: $2.59 (Android) or $2.99 (iOS). Why Avast sets these pricing differences is not clear. 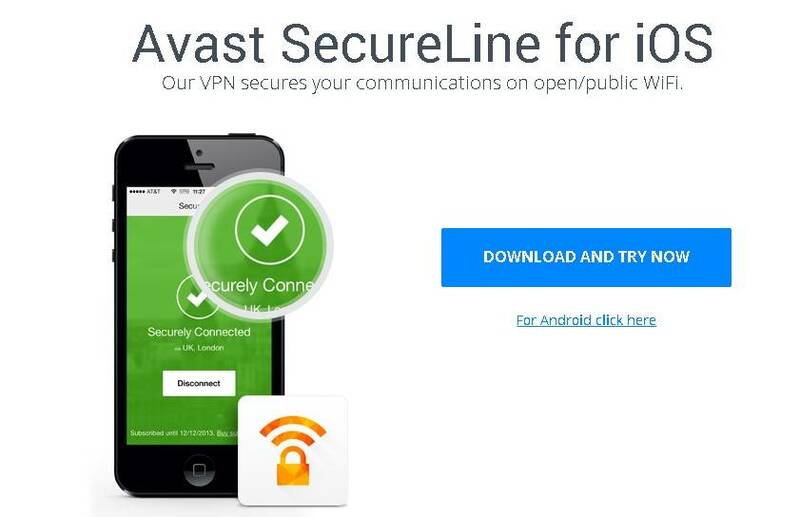 So you can actually get an excellent price if you are purchasing Avast SecureLine for your mobile device. The drawback of each operating system being priced differently appears to be that you can only protect a single device at a time. If you have a lot of devices to protect, this could add up. You have 30 days to try the product risk-free before you are locked into your purchase. If you are not fully satisfied in the first 30 days, you can get a full refund, guaranteed. Still, it is smart to test-drive SecureLine using the free trial before you commit on a desktop or laptop computer. Since you can purchase a month at a time on your mobile device, you probably should try just one month after the free trial period. If you are happy with SecureLine, you can then commit to a year-long package. Avast SecureLine currently provides users with access to six different servers based in the United States, five servers in Europe (these are located in the France, the United Kingdom, Germany, the Netherlands, and the Czech Republic), and one server in Singapore. This is not a very extensive selection of countries, but it may be fine for you if you have Eurocentric needs. There are no servers in Africa, South America, or Australia. No official information is available on how many IP addresses are included in the pool. The software automatically connects you with the nearest server, but you have an override option which allows you to choose a server in a country you prefer. There is no official information about bandwidth. Reviews of previous versions of the software suggest that it is unlimited. The user interface for Avast SecureLine is incredibly simple. You can connect with the click of a single button, or select a server location from a dropdown list. You get a nice clean interface no matter what operating system you are on. The drawback is a lack of options; you do not have nearly as much control over this VPN as you do over some competing programs. For advanced users, Avast SecureLine may be a little bit lacking. But for those in search of simplicity, it may be an ideal choice. Stability with this program seems to depend on the server you connect to as well as your own location. Users report that some servers experienced repeated problems and dropped connections, while others worked perfectly without a hitch. There are mixed reports on network speed while using SecureLine, but the vast majority of users report that they noticed little difference in their speeds while accessing the web through Avast’s VPN. The slowdown, if any, is generally going to be quite minimal. Again, the speed will depend in part upon your location and the server you are trying to access. Speed is easily fast enough for gaming, watching videos, and other intensive applications. 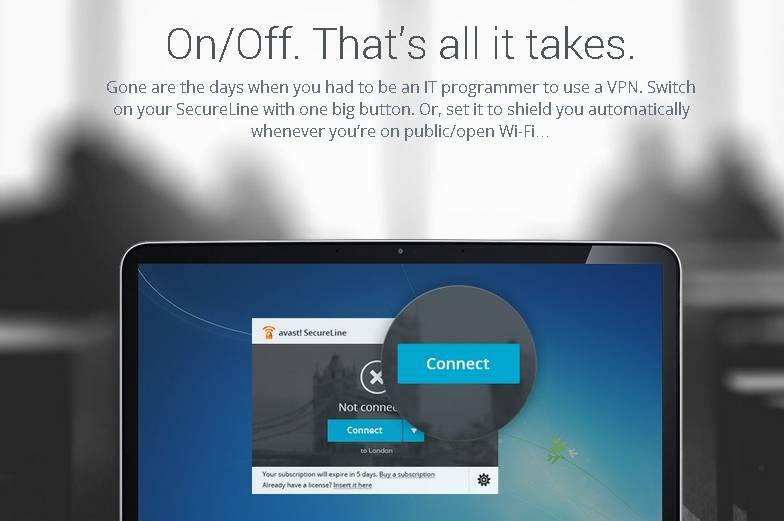 When you connect to Avast SecureLine using OpenVPN protocol, you get 256bit AES encryption (you can also connect through PPTP or L2TP). There is a surprising lack of information concerning security outside of this brief mention in a blog entry on the company’s website. The company is not particularly clear on what types of logs they maintain either, so you may want to speak to a customer service agent about that if it is important to you. Avast has a centralized support area where you can select your product from the dropdown list and view relevant documentation. They do not appear to have taken the time to add SecureLine yet, perhaps because it only recently became a standalone product. You can however scroll down on this page to visit the user forum and ask your question there in public, or submit a support ticket to address your concern privately. There is no live chat system, but there is a toll-free customer support phone number you can dial for live assistance 24/7. On the whole, Avast’s customer service team receives positive reviews from customers. Avast SecureLine really is a mixture of pros and cons. On the plus side, you are dealing with a company you should already have at least a passing familiarity with. You may even already be an Avast customer, in which case you know exactly what you can expect in terms of product quality and customer service. On the downside, Avast’s website for SecureLine is seriously lacking in information (there is not so much as a Frequently Asked Questions page). So there are a lot of informational gaps. This is likely the simple result of the fact that SecureLine was until recently just an optional add-on for Avast’s anti-virus suite. Also on the plus side, SecureLine is very affordable if you are using it on your mobile device. While it is more expensive for a laptop or desktop computer, it is still reasonably priced. The trial is short, but the 30-day money back guarantee gives you more time to test-drive the program risk-free. If you are looking for a simple, clean program from a company you can trust, Avast SecureLine may be a great choice. For users looking for advanced options and more countries however, there are some better options out there.